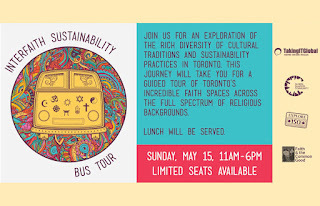 Toronto Interfaith Bus Tour - May 15, 2016 ~ The Toronto Hare Krishna Temple! 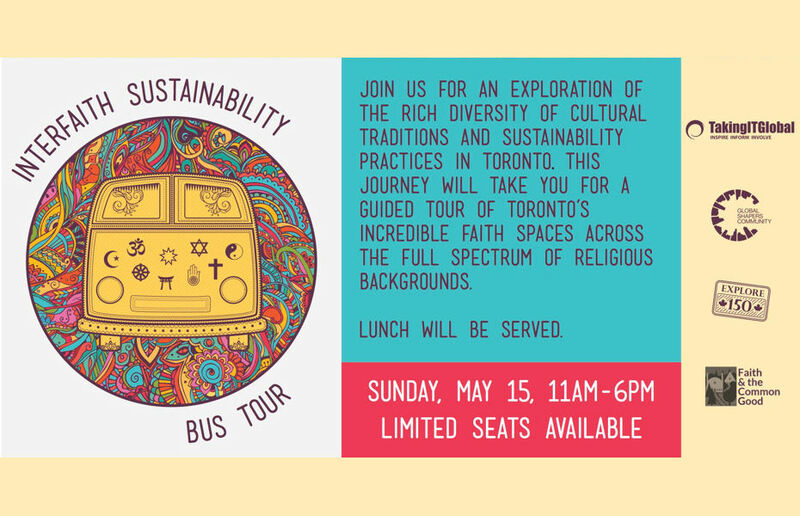 This innovative bus tour will explore how different faith groups in Toronto are working towards more sustainable and healthier communities — from eco-spiritual practices and local food systems to green architecture and waste management. Together, we will increase our understanding and appreciation of different faiths and invigorate our capacity to work across traditional divides. Registered participants will receive optional pre-reading materials closer to the event — this is a wonderful event for the whole family, and anyone who is curious to learn more about Toronto's different religions and spaces. We hope people will continue to take an interest, and we're confident you'll find the experience to be meaningful. ATTENDEES MUST REGISTER IN ADVANCE AS SPACES ARE LIMITED. The $20 registration fee covers the bus rental and insurance, and the cost of lunch and refreshments throughout the day. This event is presented by the following partners: TakingITGlobal, the World Economic Forum's Global Shapers Community - Toronto Hub, Explore150, and Faith & the Common Good.